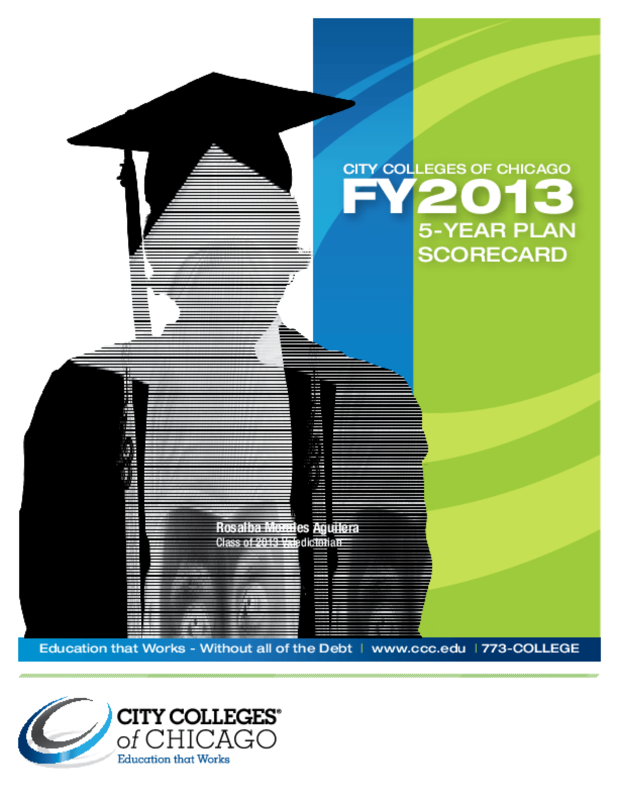 In 2013, City Colleges unveiled its first Five-Year Plan, which outlined increasing numerical goals through FY2018 for key academic and operational areas critical to fulfilling thepromise of the Reinvention initiative and placing City Colleges in the elite among large, urban community colleges. City Colleges selected 24 key metrics to assess academic and institutional health, part of Reinvention's ongoing refocusing on student outcomes to deliver credentials of economic value, and operational efficiencies to free up additional resources for academics and serveas good stewards of taxpayer dollars. This is the first scorecard measuring performance against the Plan: In Fiscal Year 2013,City Colleges met or exceed 20 of these 24 key metrics. Copyright 2014 City Colleges of Chicago.